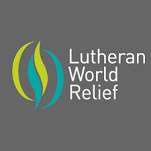 Lutheran World Relief (LWR) is an international non-governmental organization that focuses on sustainable development projects and disaster relief and recovery. The organization was founded in 1945 to collect and send aid to people living in post-World War II Europe. One of LWR’s flagship programs – started in 1945 and continuing today – is its Quilt and Kit Ministry. Each year Lutherans across the United States assemble and donate LWR Mission Quilts, as well as several kinds of kits to assist people living in poverty in times of emergency or great need. LWR continues to receive high rankings from organizations such as the Charity Watch, which gave LWR an A rating from 2007 through 2015. LWR is a member of the ACT Alliance, a global alliance of churches and related agencies working on development that are committed to working together. Since 1999, LWR has been headquartered at The Lutheran Center, located in Baltimore, Maryland. Prior to 1999, LWR's headquarters were located in New York City.